Brand new home with builder 2-10 Limited Warranty! Move in Ready! 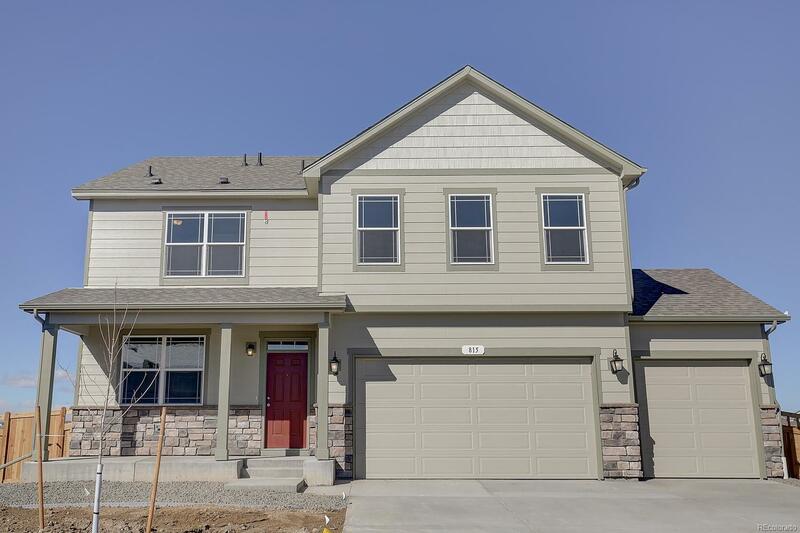 3 Car garage, 4 bedrooms with loft, and study. Home backs to green belt. Beautiful kitchen with stainless appliances that opens up to the great room with a fireplace to keep you warm on cold winter nights. Outback is a beautifully landscaped back yard with covered patio. Where else would you find a home at this price in a prestigious community like Brighton Crossings? Brighton Crossings includes a brand new community pool, community recreation center, parks and close to lots of shopping. Easy access to I-76 for commuting to Denver, Boulder, & DIA. Photos are representative, not of actual home.